Your day-by-day itinerary now includes Hoover Dam, Eiffel Tower Experience at Paris Las Vegas and Fremont Street Experience. Step off the beaten path and head to Valley of Fire State Park and Welcome to Fabulous Las Vegas Sign. 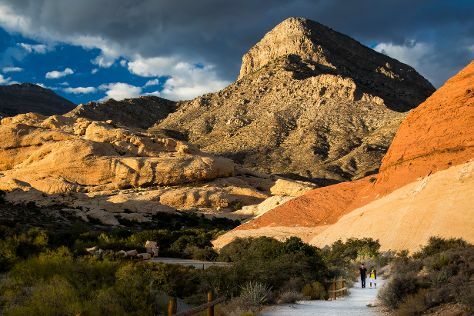 There's much more to do: take in breathtaking views at Red Rock Canyon National Conservation Area, admire the local landmark of Bellagio Fountains, admire the natural beauty at Bellagio Conservatory & Botanical Gardens, and take a stroll through The Strip. To find other places to visit, where to stay, maps, and more tourist information, you can read our Las Vegas route planner. November in Las Vegas sees daily highs of 68°F and lows of 47°F at night. On the 26th (Mon), you're off tohome.